Nevermore's seventh studio album and final release prior to the apparent break-up of the band has all the signs of a band creatively going through the motions. 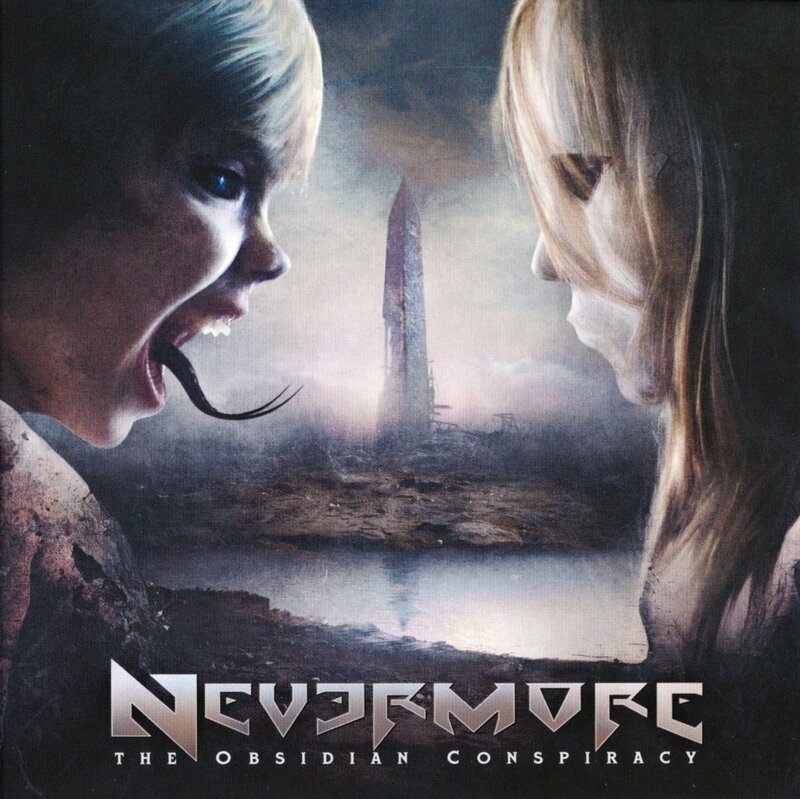 The Obsidian Conspiracy does noticeably curtail Nevermore's tendencies for ever-longer tracks, with all the selections clocking in at a manageable 5:30 or shorter, but the content is otherwise uninspiring. The band manage to add little to their unique sound of grandiose progressive power thrash, and the album has the unmistakable aroma of more of the same. Which is not to say that The Obsidian Conspiracy is not a professional effort. The sound is polished and tight, the more compact durations assisting the band to focus on what matters. Your Poison Throne gets closest to jolting the album towards relevance: Warrel Dane mixing up his operatic vocals to add a spookily gothic chorus as Jeff Loomis reels out the most accessible metallic melody on the album. Opener The Termination Proclamation injects a massive dose of adrenaline straight out of the gate, drummer Van Williams performing the duty of energy nurse, but most of the juice seems to enter the wrong vein as the track quickly fizzles into routine guitar chugging. Towards the back end of the CD, The Day You Built The Wall and the title track both demonstrate solid drama, but there is too much of Dane's theatrical vocals and not enough prominence from the rest of the band to properly grab a hold of the music. After the album's release Loomis and Williams announced their departure from Nevermore, ending, at least temporarily, the tenure of one of the more interesting and more distinctive bands in metal's journey. Produced and Engineered by Peter Wichers. Mixed and Mastered by Andy Sneap.